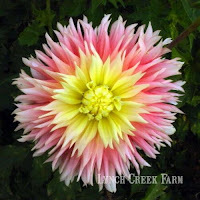 Lynch Creek Dahlias: So Many Varieties: How Do You Choose a Dahlia? When it comes to choosing dahlias to plant, there's an embarrassment of riches. 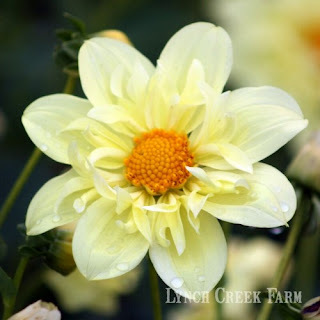 At Lynch Creek Farm, where you can buy dahlia tubers at reasonable prices (and a host of incredible dahlia bargains if you shop overstock dahlias and dahlia collections), there are literally hundreds of varieties to choose from. Yellow Bird is typical of collarette dahlias. 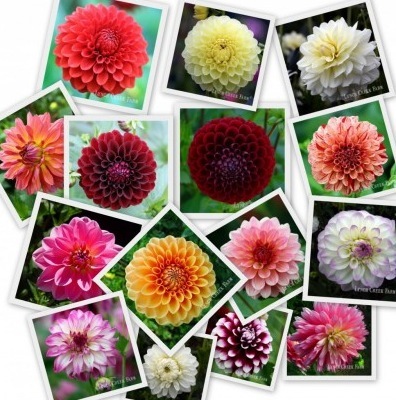 How do you choose when dahlias range through so many sizes, shapes, forms and colors? There are a number of factors to include when you're doing your decision-making, and they may help narrow the field. Consider your location. If your area is windy or you get heavy summer rains, you'll do better with small-flowered and low-growing varieties. Look at miniature dahlias, whose blooms are up to four inches across. It's best to avoid the ball dahlias for windy and rainy areas, and focus on dahlias with a flatter bloom. The waterlily dahlias are a good choice of dahlias for windy areas, as are cactus dahlias and the Mad Blogger's favorites, the sturdy collarette dahlias. is a bargain for growers. Garden flowers or cut flowers? If you grow dahlias primarily for their appearance in the garden, your choices are pretty much unlimited. If you search the Lynch Creek Farm site for prolific bloomers, you'll find some listed as excellent for cut flowers and some, shorter stemmed or with less sturdy stem structure, that are stunning in the garden but less useful for cutting. 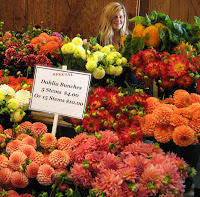 If you want to grow dahlias for arranging or for the fresh-flower market, look for those rated as best for cutting. There's even a premier cut flower collection specially selected for cutting and arranging. Just Married has amazing form and color. Standout or standby? Some dahlias are show-stoppers, including the dinner-plate dahlias like Bodacious that astonish everyone by their sheer size and personality or the fimbriated dahlias like Just Married. 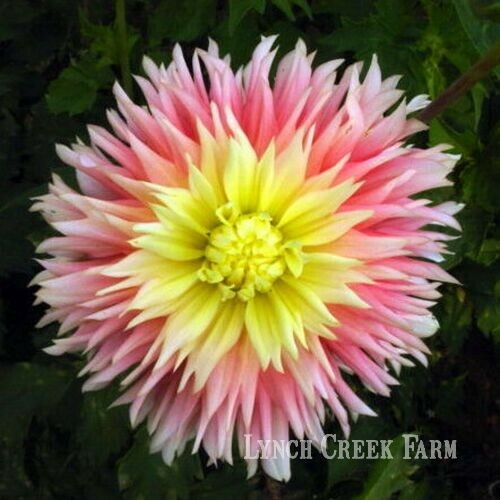 The Lynch Creek Farm dahlia listings include notations on those dahlias that are especially successful in shows, like Ken's Choice and Marlene Joy. Others are old favorites that simply go on year after year pleasing growers with their consistent quality, and these may be the most satisfying of all in the dahlia garden. is the dahlia for you. Favorite Colors and Forms. Everyone has a favorite color, and most gardens reflect those preferences. 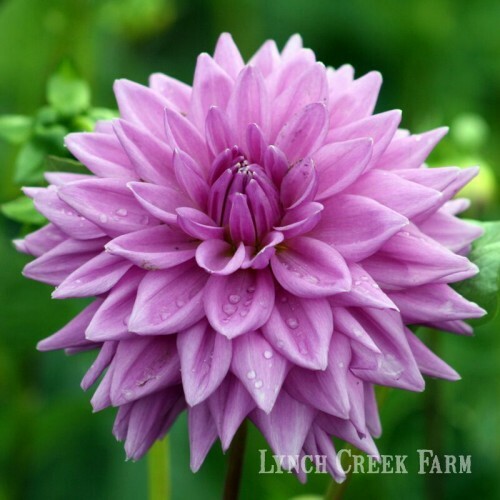 Type in your color choice on the home page at the Lynch Creek Farm Web site and you'll find all the dahlias in your chosen color range. 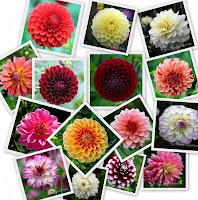 Once you've been looking at dahlias for a while, you'll likely have a favorite form, too: dinner-plate or formal decorative, buttony pom pon dahlias or big ball dahlias, starburstish cactus dahlias or flat collarettes—all this goes into your selection of those beautiful dahlias you want to add to your garden.